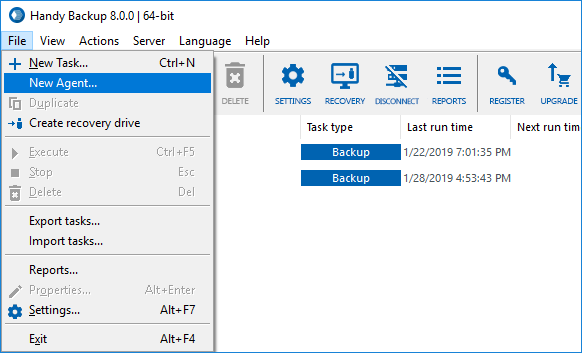 Centralized installing of Handy Backup on domain-linked machines is realized via running a "quiet" installation of software package file (.msi) on a remote computer, specifying all the parameters needed, or through an automatic setup from the Management Panel. Note: We are recommending to do all actions described below on an administrator machine and under the account of domain administrator! Download and install the Management Panel. Open a "File..." menu and find the "New agent..." option. You will see a window prompting you to create and download a new copy of a Network Agent. Note: You can click on the "Set default parameters" button to provide the typical settings for most Network Agents. Please enter the server name for a host of your Management Panel. On the next field, please enter the name of a remote computer for a Network Agent. Enter a name for a Network Agent manually in the field above (for a single particular machine). Select a connection port to the Network Agent. Unmark the checkbox after a Network Agent name. 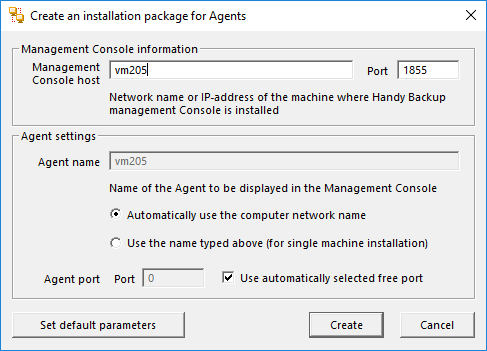 By default, program marks this checkbox and select a first available port for a Network Agent. The program will generate the installation file for your Network Agent. Choose where to save it. Now you can distribute and install the Network Agent on your remote machine by any way you see appropriate. After the installation, the name of a newly connected remote machine will appear on the Management Panel list of computers. If you does not see a machine in the list, please try to troubleshoot the problem. 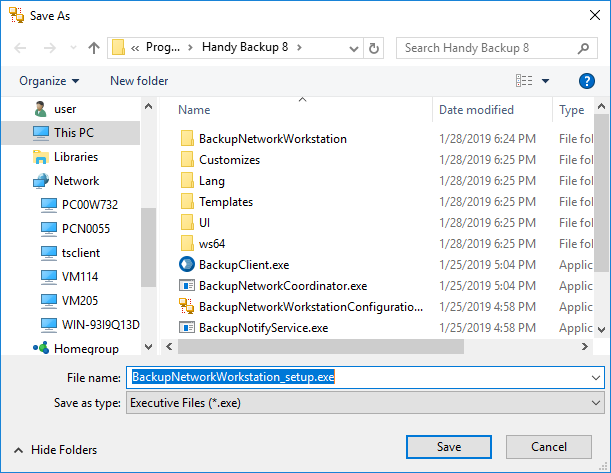 Learn how to install network agents on all computers in your network you want to back up. This video assumes that you have already installed Management Panel. To learn more about centralized installation please write us a mail at support@handybackup.net (sign "Centralized installation of Network Agents" as a mail subject).